Alizé is a new series of weather stations with an elegant and simple design especially for modern homeowners who want to be informed quickly and easily on the local weather information and the exact time. She provides you with all the information to plan your day! 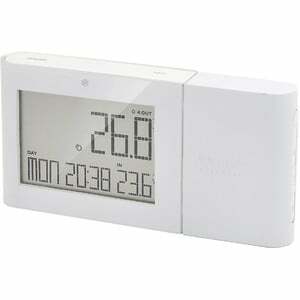 The Wireless Thermometer clearly shows the indoor and outdoor temperature, radio time, date, and day of the week on a large, easy to read LCD screen. It receives information from a wireless outdoor sensor (one included), and has Ice warning when outside temperatures approach freezing. Perfect for gardeners and motorists alike. The device supports up to 5 channels, allowing the temperature and humidity monitoring up to 5 locations with additional sensors. The clock is accurate to the second and automatically adjusts to the summer time, which means you never have to adjust the time. The station can automatically receive the European or US radio signal, making it perfect for international travelers. 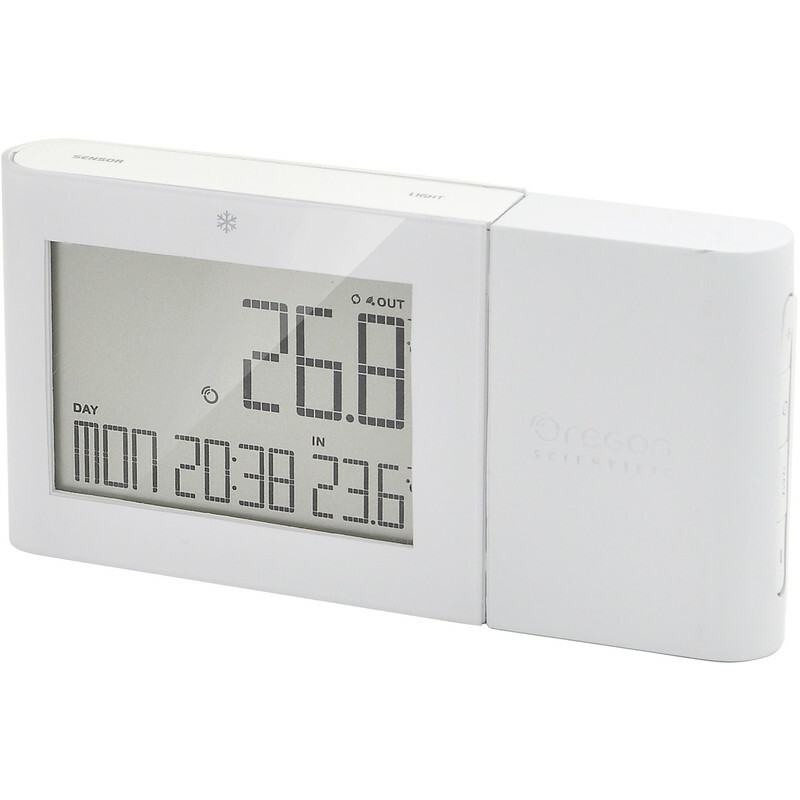 Daily maximum / minimum temperatures -Speicher for indoor / outdoor temperature, as well as a useful frost alarm function that warns you when the outside temperature reaches the freezing point. The clock is radio-controlled (atomic clock), accurate to the second, and automatically adapts to DST.